1. Those who kiss their partner goodbye each morning live five years longer than those who don’t. 2. Kissing is great for self-esteem. It makes you feel appreciated and helps your state of mind. 3. Kissing burns calories, 2-3 calories a minute and can double your metabolic rate. Research claims that three passionate kisses a day (at least lasting 20 seconds each) will cause you to lose an entire extra pound! It’s time to start that kissing diet! 4. Kissing is a known stress-reliever. Passionate kissing relieves tension, reduces negative energy and produces a sense of well being, lowering your cortisol ‘stress’ hormone. 5. Kissing uses 30 facial muscles and it helps keep the facial muscles tight, preventing baggy cheeks! The tension in the muscles caused by a passionate kiss helps smooth the skin and increases the circulation. 6. Kissing is good for the heart, as it creates an adrenaline which causes your heart to pump more blood around your body. 7. Frequent kissing has scientifically been proven to stabilize cardiovascular activity, decrease blood pressure and cholesterol. 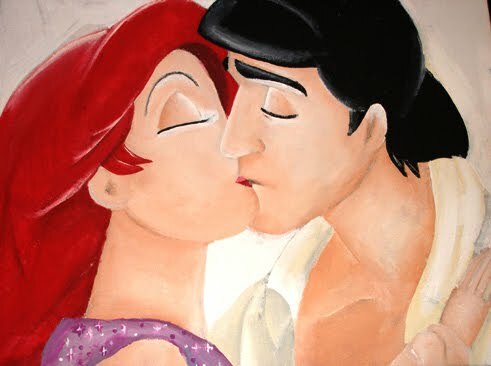 Those who kiss quite frequently are less likely to suffer from stomach, bladder and blood infections. 8. During a kiss, natural antibiotics are secreted in the saliva. Also, the saliva contains a type of anesthetic that helps relieve pain. 9. Kissing reduces anxiety and stops the ‘noise’ in your mind. It increases the levels of oxytocin, an extremely calming hormone that produces a feeling of peace. 10. The endorphins produced by kissing are 200 times more powerful than morphine. Did you kiss anyone this weekend? If so, look at all the good you accomplished! Friday night El Jefe and I went to see Michael Franti and Spearhead. Great concert! The opening band was a lovely surprise. Tamarama check them out if you’re looking for something new. I’m thinking I’ll be purchasing their album this week off iTunes. They were infectious dudes and their music is, too. Hope y’all have a great week and don’t forget to pucker up! This entry was posted in Uncategorized and tagged kissing, music, weekend by Just Call Me Mel. Bookmark the permalink.